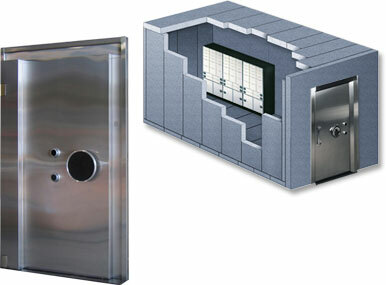 Modular vault panels are constructed of high strength concrete and steel. 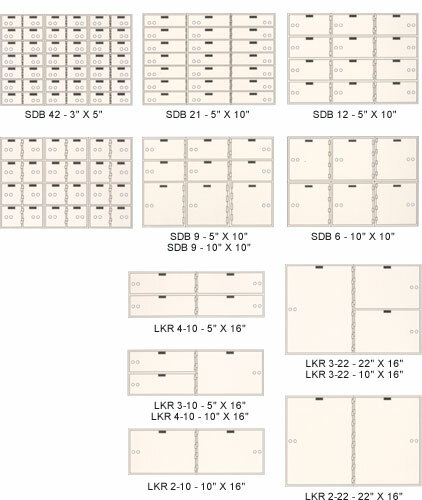 Modular vaults are more cost effective than poured in place vaults and can be expanded or relocated if it becomes necessary. Fortis vault doors combine the ultimate in security with the beauty of contemporary styling. Attractive stainless exterior covers a high strength concrete and steel core panel. 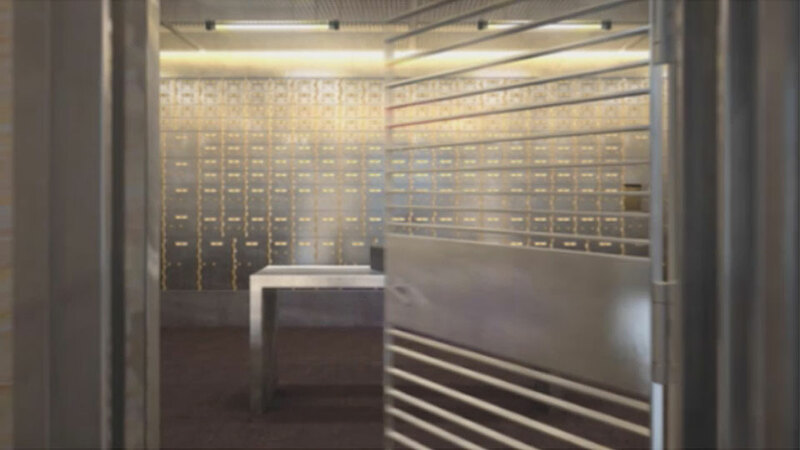 Fortis Safe Deposit Boxes and Lockers are composed of a powder coated steel outer case and rugged extruded front frame. The 7/16" thick solid doors are covered with a stainless steel cover for endurance and appearance. An interlocking heavy flange provides added resistance to attack. The double nose U.L. Listed double key changeable locks provide flexibility in setup or when changes are required. Two customer keys are included. Each opening comes with a changeable numbering system allowing for future expansion and a sturdy, removable metal bond box.